Crityk - Discover what to eat! Crityk isn’t just another social food app. It’s a community that celebrates the love of food. If you’ve been wishing there was an easier way to find great food that meets your palate or diet, thats us! Are you a social foodie butterfly that enjoys snaping, rating, and sharing their discoveries? Yup, that’s us too! Crityk is your magic genie lamp and your voice to the foodie world. Sure it’s great to know where to eat, but that’s only half the battle. Know what to eat before you get it, and discover the world of food in a different way. Is there a part of your palate or diet that is grumbling for something specific? We got you covered like paleo vegan cheese on gluten-free macaroni. Snap & speak foodie! Our rating system makes it easy… snap, rate, and tag details about your food experiences. See a delight or spot you like? Stash it for later. Then of course, because sharing is caring, share those findings with friends in-app or via social media. Sometimes the mood, sets the food. 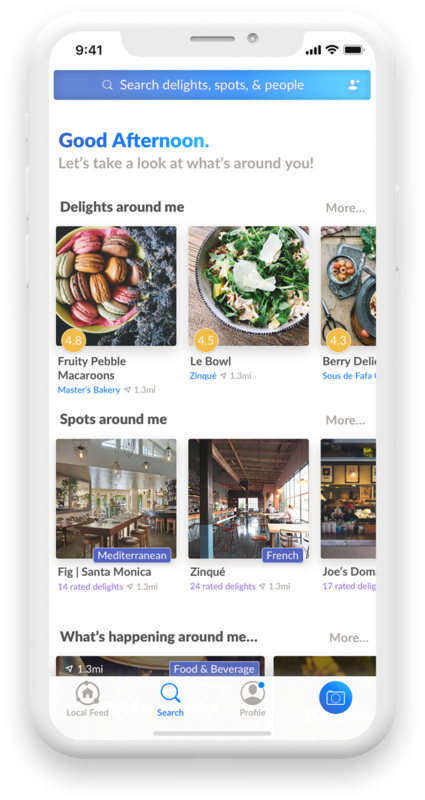 Find events in your area that fit your food mood. Let Crityk feed your mood, palate, and diet. and invite your friends to drool with you.